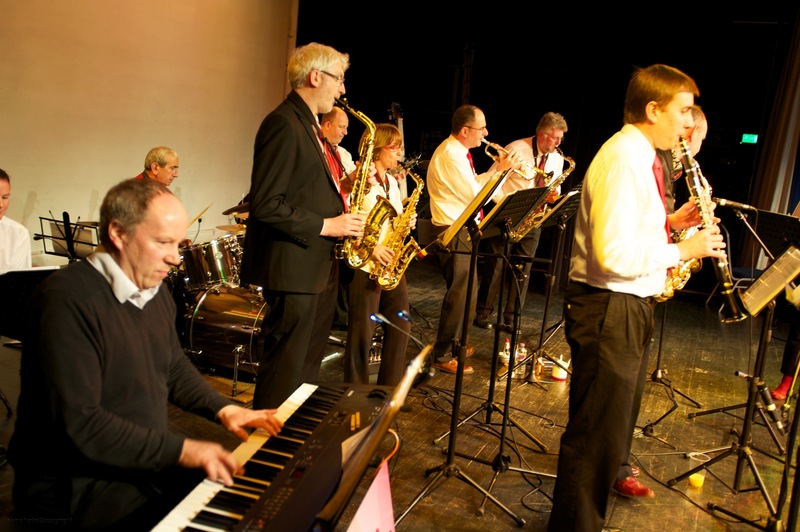 We are a community jazz band based in St Albans dedicated to the enjoyment of playing music in a friendly and supportive environment. The people in the group have a wide range of musical backgrounds and abilities. Our Musical Director is an experienced musician who teaches at a Hertfordshire school. There are weekly rehearsals and we perform at charity and community events in the local area. Please have a look at the other pages on this site and visit our Facebook page for the very latest information. We had a really swinging night at the Gateway Club – one of our best nights ever. The band were marvellous. Thank you so much for making this possible. I just wanted to say a big huge thank you to all the band who came and played at the Noke last Saturday night. I thought they were brilliant and everyone said it was a lovely touch to the evening. © BSV Jazz Band 2015 - All rights reserved.